We're excited to have adni18 for our Master Skinner spotlight this month! He joined WinCustomize way back in 2001 and is one of our overall top skinners on the site. Thanks for taking the time to answer some of our questions for the community. You are one of our original members way back in 2001. Can you tell us how you got involved in “skinning” and WinCustomize? 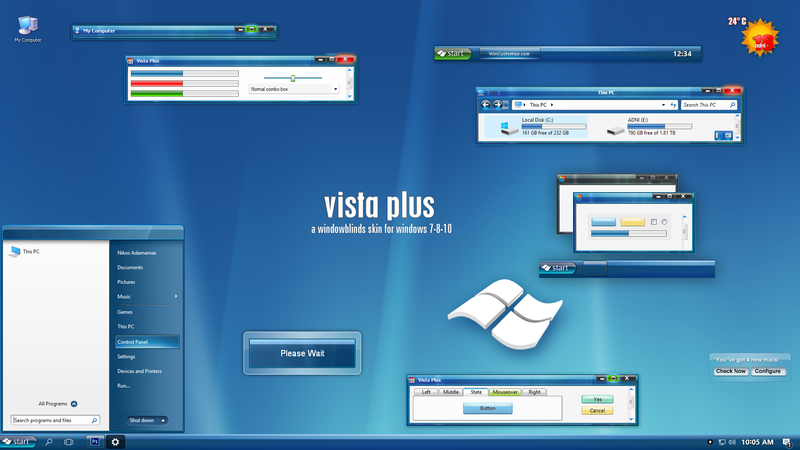 I was using an early beta version of Windows XP and I decided to do something beautiful with my new Windows OS. So, I did a wallpaper with the Microsoft logo full screen and perspective, with no real knowledge (less than basic) of creating graphics. Have in mind that those days Microsoft logo wasn't popular at all, even Microsoft was putting it aside and in a very small size. I was visiting the skinning sites then, looking for some icons and maybe a good wallpaper, one of these sites was WinCustomize. I decided to upload it there for fun, I didn’t even know what was happening with uploads. The other day I saw a medal next to it, indicating that it was no1 in downloads the day before as it was many days after. Someone informed me then, with links which I have checked out, that more than 65 sites were having my wallpaper in their front page!!! I was very happy about it. One day, after about 10-15 days I have started receiving congratulations because Microsoft was having “my wallpaper” in their new version of Windows XP as an official wallpaper, but this time as a monochrome blue perspective glass logo, with no big success as you all know, they didn’t want to tell me “thank you for your idea and for making our logo so popular”, so they didn’t make it with the same colors as I did it. 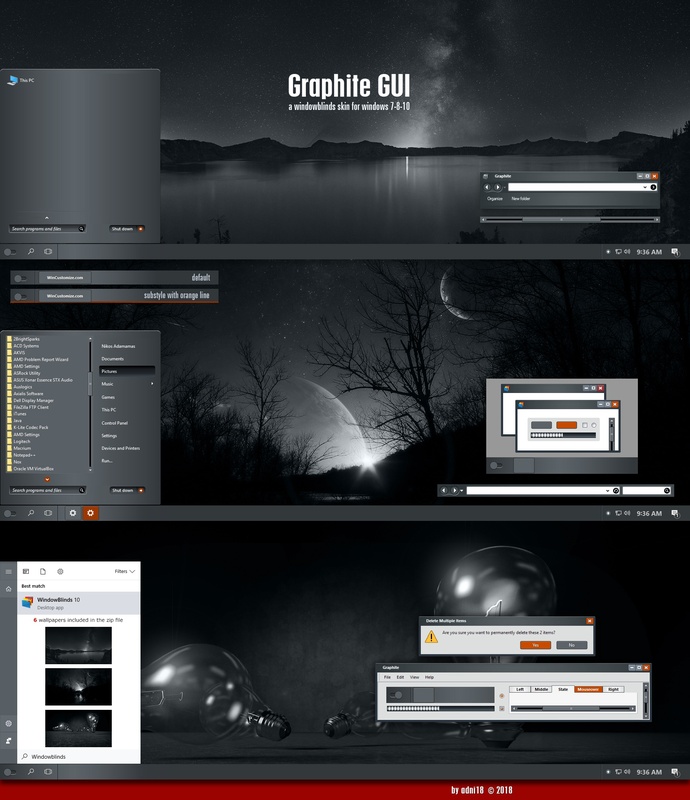 This skin (https://www.wincustomize.com/explore/windowblinds/2156/) was meant to be the most popular/downloaded skin ever in skinning community for many years, then I did the “Vista Plus” skin (https://www.wincustomize.com/explore/windowblinds/5814/) which had more success, with more 1.000.000 downloads in the skinning community. This was my start in “skinning” and WinCustomize. 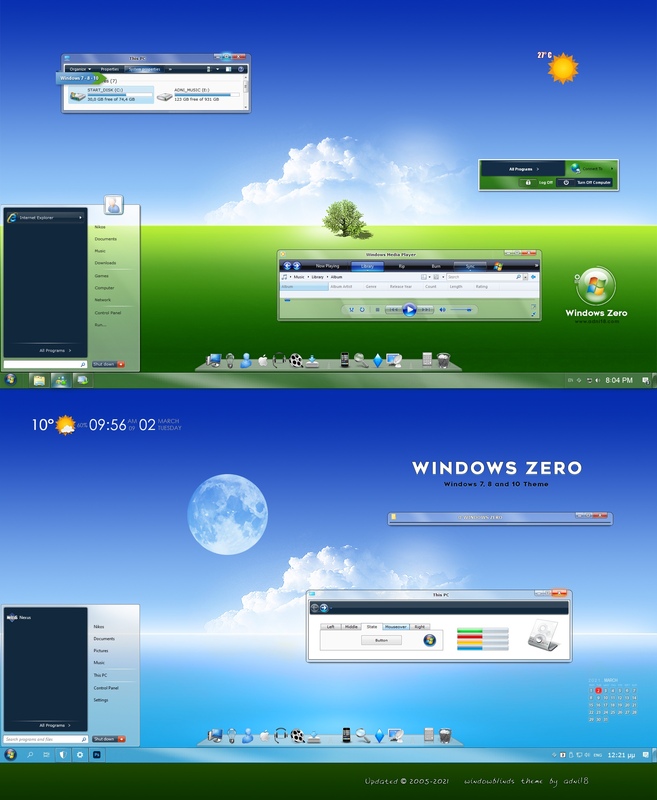 You have created some of the top WindowBlinds skins on WinCustomize over the years. Do you have a favorite out of all of them? Well, I like many of my earlier skins which have good ideas and colors, but not perfect as skins, I was interest then about the new ideas and didn’t pay much attention for the script of Windowblinds, I didn’t have a lot of free time for that then. I may say now that I really love all my Master skins. Where do you get inspirations from for your skins? I remember that when I was looking a beautiful sky, or a flower, or a car or a nice furniture etc. I was always thinking if what I was looking can be a good skin? The inspiration for my skin was and still is the beauty that surround us. What tools do you use when creating a skin? The only tool I use is Photoshop. Do you have any other hobbies or interests besides skinning? I love creating and learning! Besides my profession as a dentist, I also had many other interests and too many hobbies in my life and I enjoyed all of them. My latest hobbies from the beginning of this year 2018 are the digital paintings (yes, not wallpapers any more) and the skinning again, (after a long interval), and I am enjoying both of them very much! Thanks for being a valuable member of WinCustomize and for taking the time to speak with us this week! You can see all of adni18's skins here. Congratulations on the feature! Very well-deserved! My very first WB was one made by adni18 some twelve years ago. Back then I thought they were to die for they were that good. So congrats to one of the first Masters. Congratulations on the spotlight my friend, and to those who have not seen your new digital paintings be sure to have a look: http://art-paintings.adni18.com/ . His work is so fantastic! Congratualtions on the spotlight feature!!! I just visited adni18's site. I'm like......WOW......WOW! Nuff said.